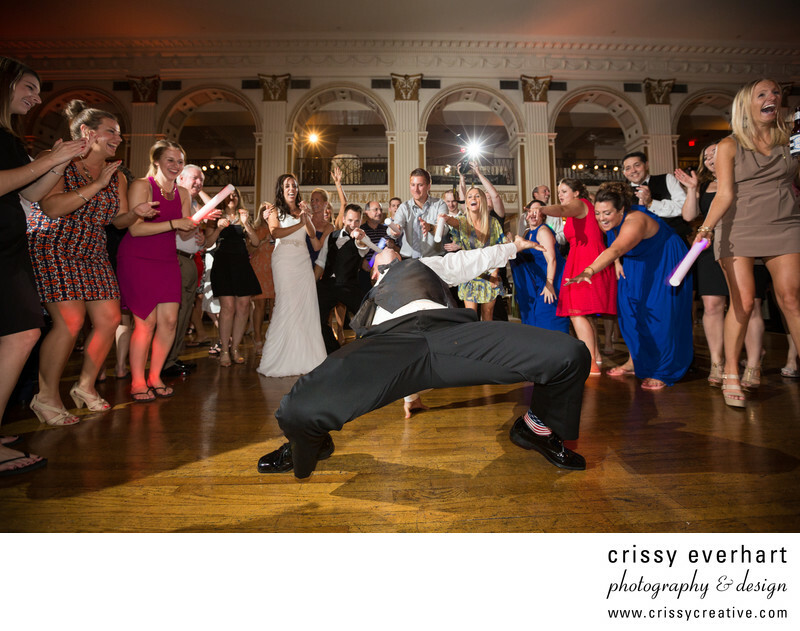 Guests are wowed by the groom's dance moves - the expressions are priceless! His bride claps in the background, other bridesmaids point and reach for him, and one lady on the side laughs to her date as the groom does something that looks like a move out of the movie The Matrix. This was one heck of a party! The band, "This is Masquerade", kept everyone dancing all night long! The Ballroom at the Ben has high ceilings and giant archways that go up to the mezzanine level.